Microsoft Dynamics is the most popular and vibrant business solution. It is a great ERP and CRM development platform that helps the users to customize the solutions according to their business needs. Microsoft offers certifications specific to each Dynamics 365 area to help professionals gain credibility and increase the organizations’ confidence in them. Today, companies ask for professionals with Dynamics 365 certifications to ensure people working on their systems are capable and certified to do so. Once you have gone through the Microsoft Dynamics 365 Training, you will be widely acknowledged. Dynamics certifications include a series of multiple-choice questions, covering a broad range of functionalities and features. Passing the exam is not very easy as it tests the skills of the professionals and measures competency rather than “knowledge” in a specific area. Some good hands-on experience with the product before applying for any of the certificates is beneficial. Getting certified will add much to your credibility as a Microsoft Dynamics professional. Most job descriptions at companies like AccuWeather, L’Oreal, Accenture, Allianz, 3M, and Adobe ask for Microsoft certificates. Microsoft claims that 91% of hiring managers consider certification as part of their hiring criteria. The best part of choosing Dynamics certifications for your career advancement is that Microsoft certifications are valid and valuable as long as the product covered in the certification is still used in the market. As the demand for Dynamics 365 is growing extremely fast in the market, companies are continually looking for Dynamics 365 professionals to set up and maintain their deployments. More professionals are looking to work with Dynamics 365 to meet the demand and the number of people showing interest in the field is rapidly increasing every year. 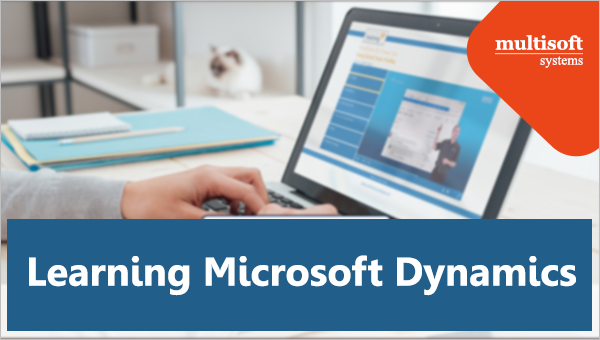 If you want to start your Microsoft journey, enroll at Multisoft Systems for the best Microsoft Dynamics 365 Training in Noida. This will separate you from the crowd by adding official skills endorsement from the product’s creator, opening new doors to push your career further and explore new opportunities. This Is How You Can Build Your Professional Career In MS Dynamics AX!